Have a little fun on your next Crystal Coast vacation and experience the Annual Wooden Boat Show in downtown Beaufort. 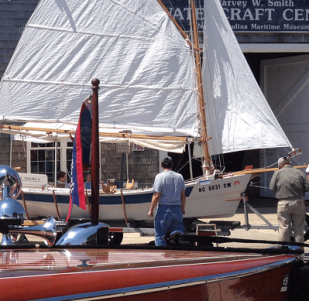 Here you will see dozens of beautifully handcrafted wooden boats displayed at the North Carolina Maritime Museum’s watercraft center. Bring the whole family for fun-filled activities, free exhibits and children’s arts & crafts. You can even take a free sailboat ride and watch boat races. It’s fun for the whole family!